It’s tax season. In fact, it’s been tax season for a few months now. If you’re a small business owner reading this, you know that the window to file your taxes is slowly closing. What to do if you haven’t filed your business taxes yet? The number one rule, as always, is don’t panic. But the next steps towards getting back on track, filing on time, and putting yourself in position to continue filing on time in the future are a bit more involved. Here are some tips for how to file your taxes at the last minute (and yes, the last few weeks count as “the last minute” on the calendar), and how to improve your processes so you’ll be ahead of the curve in the years to come. The deadline for partnerships and S Corporations to file their taxes was March 15 (it’s typically the same date each year, barring that 15th falling on a holiday or weekend). C Corporations and individuals have until April 17 in 2018 for that reason. If you find those dates passing much too quickly for your liking, it’s possible to file for an extension. Partnerships, S Corps, C Corps, use Form 7004 and individuals use Form 4868 to request a six-month extension to file. Be aware that this doesn’t mean you push everything down the road for another six months. You still need to send the IRS your estimated tax bill by the original deadline. This just allows you more time to get the details right. The government still wants its money when it expects its money. The government still wants its money when it expects its money. When asking for an extension, it’s best to consult with a tax professional. More on that below. It can be tempting to do everything yourself to save your business money. It’s totally understandable. But enlisting outside accounting help to do your taxes is such a common practice because people typically find it’s worth the cost. While only about half of small business owners polled in a recent State of Small Business Accounting Report said they don’t feel overtaxed, the majority of those polled agreed that their accountants aren’t to blame for their tax bills. Basically, it’s uncommon for business owners to feel unsatisfied with their accountant’s work. On the other hand, businesses that choose to go it alone come tax time find themselves sinking valuable hours filing that could be better spent on the business itself. Plus, while you are still responsible for what’s listed on your tax filing, an accountant can help ensure that there are no accuracy errors and that you make all your deadlines. The IRS can fine businesses for failing to pay appropriate estimated taxes, for accounting errors, and of course for committing fraud. These penalties can rack up, adding enormous percentages onto the end of your bill and costing you thousands. Automation is starting to take over the workplace in ways we didn’t previously imagine. Of course there are robots in warehouses, but we’re also able to automate busy work and other processes that previously dominated working hours. For example, most small businesses need to keep track of the inventory they create, package, and ship to customers. In the past, they used manual processes like a pen and paper, or Quickbooks. Related Article: TAX SEASON: WHAT CAN YOU DO BETTER THIS YEAR? Now, automated inventory tracking software can order new batches of inventory, balance on-hand stock levels to make sure your company isn’t paying too much to carry your products, and follow packages all the way to customers’ doorsteps. The same goes for asset management, which is the tracking of the fixed pieces of property used in the production of income, such as laptops and vehicles. Assets need to be depreciated year after year on your tax filings, and their current status and value need to be known at all times. Automated software does all that, plus helps you keep track of their physical locations (assuming they move around a lot, like shared mobile computers) and can ping you when an asset is due for maintenance or disposal. When you’re filing taxes at the last minute, having these records on hand, and having them be accurate down to the last digit, is crucial. So much of what bogs down filing is having to audit all of your assets for the entire year. Why not have a running log that keeps track of all this, and can be pulled up at a moment’s notice? Best of all, most management software can now be accessed through the cloud. Leading providers make sure that your data is secure, while allowing you access to your valuable information anywhere you have a connection. Knowing what deductions and write-offs you can take is important if you’re going to file your taxes on your own. Keep yourself up to date on the tax code, regardless of whether you’re doing taxes yourself or not. 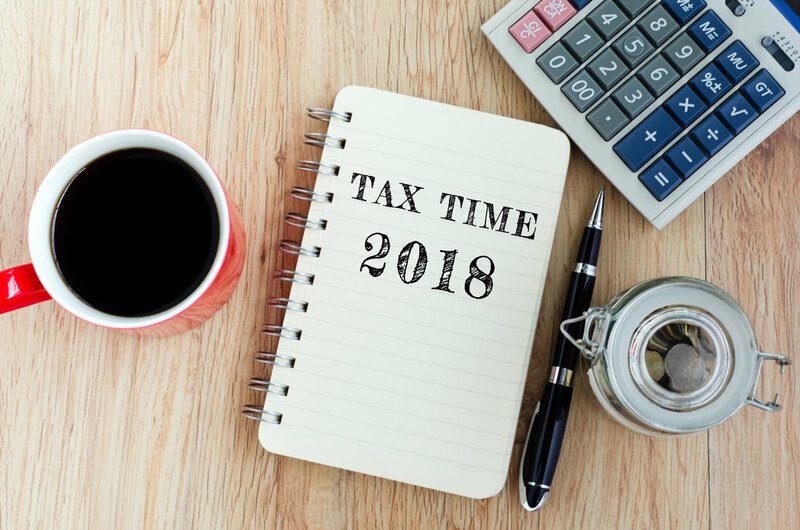 In today’s current political climate, lots of changes have been made to the tax code (and even in less divisive times, changes happen often) and what you’re allowed to write-off may have changed since last year. For example, popular deductions such as Section 179 and bonus depreciation are still available (Section 179 allows businesses to deduct the full price of qualifying assets, up to $500,000, rather than depreciate it over time; bonus depreciation lets you depreciate 50 percent of the cost of new equipment—and the Path Act extended this bonus through 2019). Don’t miss out on cost-saving deductions due to lack of information. This is more of a tip for the future, but if you’re in charge of your taxes, don’t forget to pay your estimated quarterly taxes. The IRS will penalize you if you don’t. 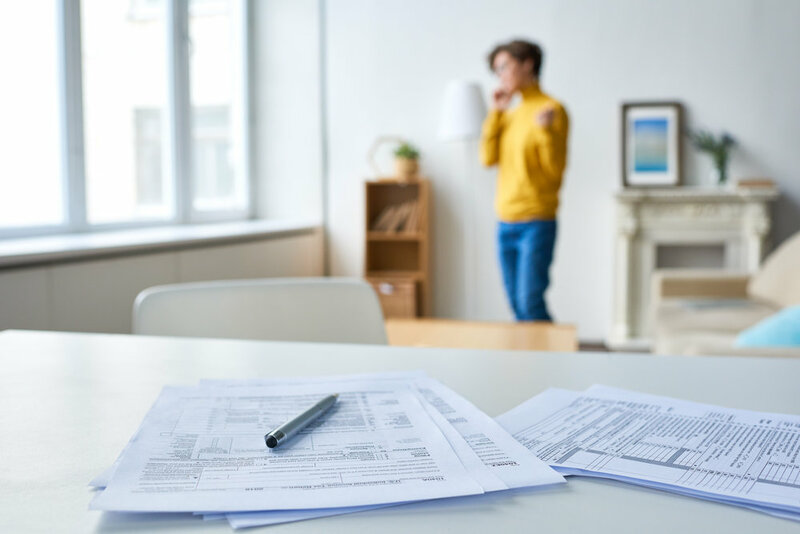 Many first-time business owners aren’t aware of their responsibilities and assume that paying taxes yearly, as they do their personal taxes, is standard. You can and should take advantage of the calendar to make timely purchases and donations. For example, if you have unsold or unused inventory, you don’t just have to toss it out, or continue burning cash to keep it on your warehouse shelves. You can donate that stock, or supplies, or property, and get tax deductions. Same goes for straight-up charitable donations. Next, if you have excess capital after a good year and planned to make business purchases next year… just do it now. You can decrease your revenue from this calendar year and thus lower your tax burden. Obviously, it’s too late to do these things if you’re filing your 2017 taxes, as that’s in the rear-view mirror. But these are end-of-the-year decisions you can make going forward to lessen your tax bill in the years to come. Believe it or not, the IRS isn’t your enemy. They’re just doing their job, just like you. They have a video portal you can visit that covers dozens of topics, including how to handle business expenses, income, and start-up costs. Don’t be afraid to reach out with questions and issues. No one wants you to pay more than you should, be penalized unnecessarily, or go to jail. If you’re a small business owner, you owe it to yourself to stay informed, connected, and up-to-date. If you’re struggling to get your taxes done on time this year and end up taking a hit, don’t fret. Hopefully this is just one bump in the road for you and your business. By being more proactive—creating automated processes and digital paper trails, asking for extensions, doing your research—you can make filing taxes a breeze in the fiscal years to come.